This workshop series was conducted in three one-week sessions between 2015 and 2017. 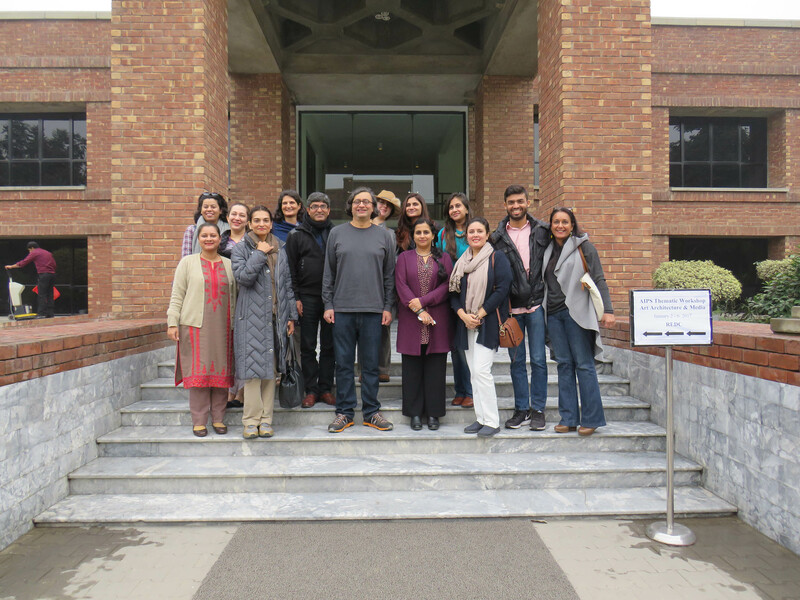 Each workshop focused on specific facets of visual analysis, and was attended by faculty from Lahore, Karachi, Rawalpindi and other places, who are affiliated with institutions of higher education and teach art history, visual studies, architectural history, and cinema studies. As there are hardly any departments in Pakistan focusing on these areas, the efforts of these faculty members are based on individual initiative and commitment, rather than being conducted systematically with good institutional support. The goal of conducting these workshops was not only to introduce the attendees to key issues in the field and current scholarship around them, but also for them to exchange ideas amongst themselves and to see each other as resources and allies facing similar challenges. I organized the workshop series and led the first workshop. Its focus was on methods for the analysis of modern art. The topics covered included formal analysis, and situating modern art with reference to nationalism, institutions, and developments in transnational modernism. Zahid Chaudhary, a professor at Princeton University and the author of a book on colonial era photography, guest-led a session on the analysis of photography. Hammad Nasar, then director of research at Asia Art Archives, guest-led another session on research practices in archives. Case studies were drawn from regions in the Global South, so that the attendees might find parallels with Pakistan. For example, one of the readings discussed formal and ephemeral museums in Morocco, enabling the attendees to recognize institutions in Lahore. A question like “how many museums are there in Lahore” now no longer had a simple or formulaic answer, because Lahore has many surprising and diverse permanent and temporary sites for the collection and display of art and material culture. The second workshop was led by William Glover (Professor, University of Michigan), whose expertise is architectural history and urbanism. Given the speed with which Pakistan is urbanizing, this is a topic of tremendous importance. The workshop did a field trip to the city of Chiniot famous for its architectural crafts and mansions, and also created a joint project for the workshop, by writing reflections on the space and location of their own homes, based on the concepts and histories they had engaged with during the week. I also conducted the final workshop, which was focused on crafts, media, and popular cinema. The readings and case studies included a look at Lok Virsa, an institution which was founded during the 1970s to preserve and promote the folk culture of Pakistan. The attendees discussed the stability of the idea of the “folk” with reference to an uneven but steadily modernizing society. A key focus of this week was on the analysis of commercial cinema. Questions such as “how does the song-and-dance sequence upend the narrative form of realist cinema?” were addressed through assigned readings and through collective scene analysis in class. The workshop series was undoubtedly beneficial for the attendees. And as I am presently engaged in writing on the art and cinema of Pakistan, the workshops provided him with considerable insight into the contemporary state of scholarship and discussion on these topics in Pakistan.